The darkroom is fully functional! The first pictures printed. It was great getting back into it, took me a while to remember the process and how it all works. I first used the old Durst enlarger that I bought off the internet years ago, it has a colour head so works easily with multigrade paper. 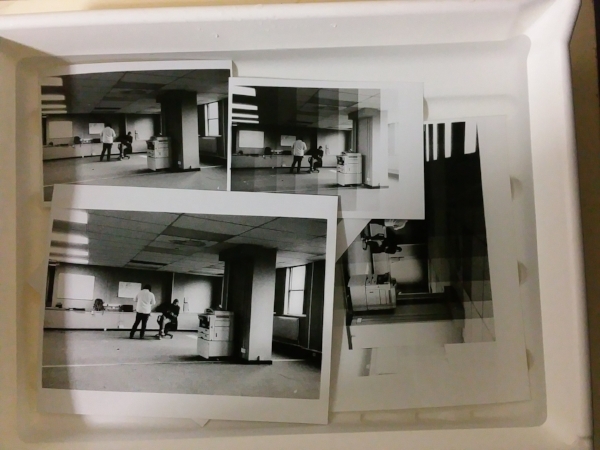 It worked well, and with the lens I have can print to about 10×8. I think tried another enlarger that could print much bigger, this one has a filter holder, and I didn’t find the filters straight away. It worked great too. Now I need bigger paper! Darkroom is pretty much setup, I tried two of the enlargers that where donated. Including the one I donated that I thought was in need of repair. However after some faffing about I got them both to work. Although I am not entirely sure that the colour adjustment is working for one. I will try to dig up its manual on the web. The darkroom itself needs a bit more blacking out. There are a couple of light leaks. I do have a lot of ikea blackout material that I can use to sort that out. Just waiting for chemicals really, looking forward to the first session! 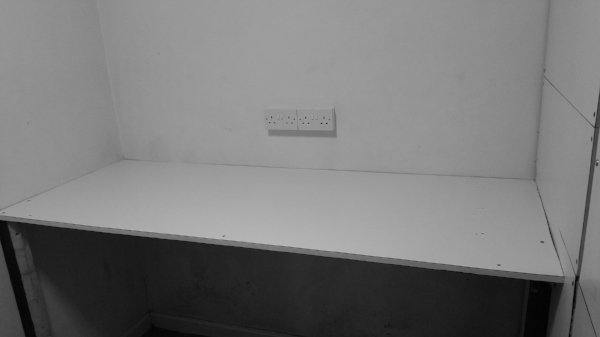 Steady progress is being made on the darkroom in The Empty Shop Think Tank (TESTT) space. I have a key! That helps. I plan to test the kit on Saturday, and perhaps try to develop some films. That is the plan anyway, I need to get some chemicals. Hoping that Amazon prime might come to the rescue. Below is a picture of the bench I made out of part of the toilet cubical.